The very best way to ensure you're earning as much as you can is to avoid empty periods. A single vacant month loses you 8% of your annual income, so your primary mission should be to make sure your property is one that will rent quickly and efficiently. If the property is already occupied, ensure you begin marketing as soon as your outgoing tenant gives notice. For vacant homes, a little staging can make all the difference in creating the feeling of home for viewings. The key to a property that rents easily is one that presents well to prospective tenants. If a property is clearly neglected or shows excess signs of wear, tear and abuse, it's unlikely to generate much of a stir. So take good care of your asset and attend to any repairs when they are reported. Even with the greatest tenants, it's possible that something may get overlooked during the course of a tenancy that might not even be your tenant’s fault. A mild stain on the ceiling could suggest a leak from upstairs or perhaps a clogged gutter; sealant around windows or doors may become loose; bathroom or kitchen grouting might need replacing. These aren't things we usually expect tenants to go around hunting for, so it's worth undertaking an inspection every so often: you may well nip a problem in the bud before it becomes worse, more disruptive or costlier for you, your tenants and your neighbours. Just like anywhere else, tenants in Berkhamsted and Tring will pay more for properties with a better specification. So if you want to attract the highest rental, look at what you can upgrade. Kitchens and bathrooms are the obvious choices - perhaps you can add or replace an appliance, or maybe install a better shower. Fresh decoration works a treat, and what about the floor coverings? Make sure you keep all your expenditure receipts so you can include them with your tax return to claim any allowable expenses. Most improvements and repairs are tax deductible so why not use the opportunity to keep your property up to date and looking its best? Just with any investment, the more you put in, the more you get out. 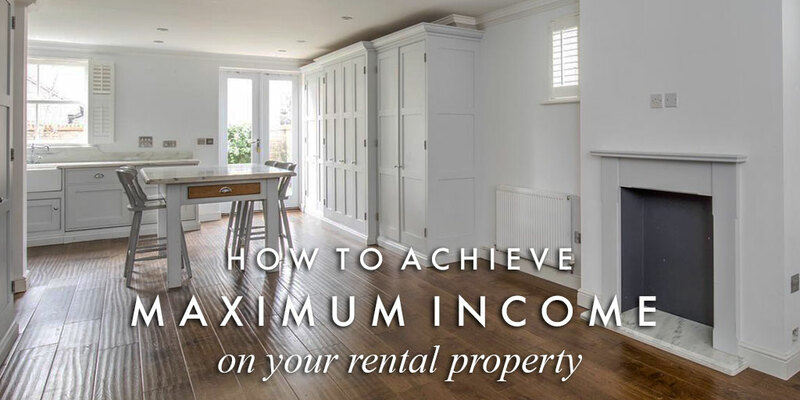 By regularly maintaining your property and ensuring its offering stays up to date with modern lifestyles and other comparable homes, you’ll attract the very best tenants at the very best rent and have minimal vacant days. Both our Berkhamsted and Tring offices have letting teams in-house. If you would like to know more about our services, we would be delighted to hear from you!